Edna (Furlotte) Maltais, wife of the late Albert Maltais, passed away on April 16th, 2019 at the Campbellton Regional Hospital’s palliative unit at the age of 91, after fighting a lengthy battle with cancer. She is survived by her three daughters: Judy Maltais of Halifax, N. S., Annie Desrosiers (Amedee, deceased) of Balmoral, N. B., and Brenda Martin (Everett) of Eel River Bar First Nation, N. B.; son Billy Maltais of Toronto, ON; seven grandchildren: Carol, Lynn, Rick, Joanne, Bonnie, Adam and Sasha; nine great-grandchildren, Ethan, Jarrett, Sammy, Ally, Lucas, Brooke, Emma, Ryan and Damon; one brother, Allison, of Miramichi; three sisters: Celina Butcher of Saint John, N. B., Adeline Foley of Massachusetts, U. S. A. and Evelyn Furlotte of Dalhousie, N. B.; as well as several nieces and nephews. Edna was predeceased by her father Fredina Furlotte, mother Annie (nee LaPointe), brothers Irvine, Norman, Maurice and Alvin, as well as her sisters Eileen and Kathleen. There will be visitations for Edna at the Savoie Funeral Parlour, Eel River Crossing on Friday evening, April 19th from 7 to 9 PM, as well as on Saturday April 20th from 2 - 4 PM, and again from 7 - 9 PM. 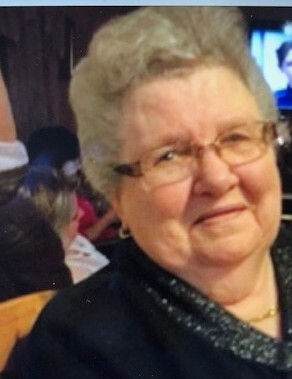 Her funeral will be held on Monday morning, April 22nd, 2019 at the Église catholique Sainte-Trinité, Eel River Crossing at 11 AM. Funeral arrangements are in the care of MacMillan’s Funeral Home, Black Point.